Looking for New Cool Minecraft Skins? We play a lot of Minecraft. We are always looking for cool minecraft skins or a server without potty mouths. We haven't had much luck finding a server, but we did make our own. Anyone who uses bad language, name calling, or asks inappropriate questions gets banned. We have a zero tolerance policy. We are just getting started, but it is a good place for younger ones to play the game. Scroll down for details. 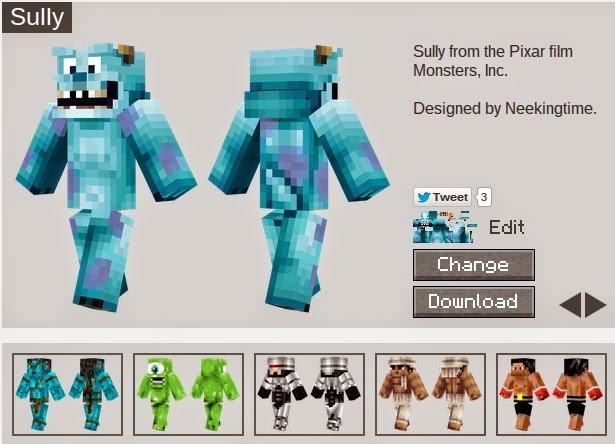 In the meantime, check out this list of the best place to find Cool Minecraft Skins. Enjoy! The Skindex is loaded with the best minecraft skins like this Ice Wolf. 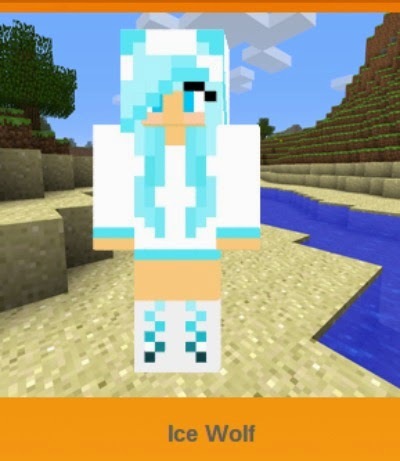 Like this Ice Wolf, the best Minecraft skins are found on Skindex. We love the way the awesome Minecraft Skins on Minecraftskins.net are organized into categories. You'll find Movies, TV, Games, People, Fantasy, Mobs and More. We especially like the Sully pictured below. The Disney Minecraft Skins are awesome! Disney Minecraft Skins found on Minecraft.net. 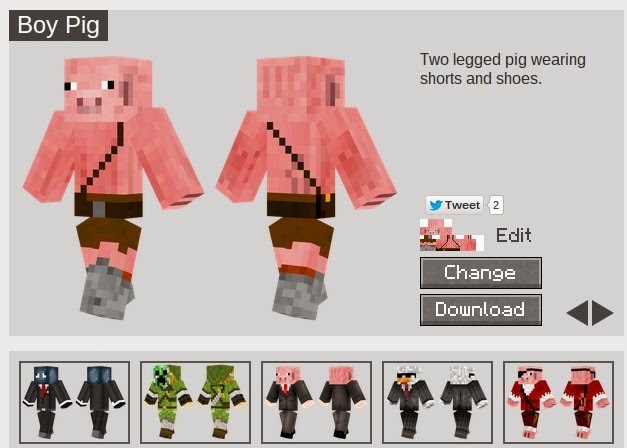 Cool Pig Mob Minecraft Skin from Minecraft.net. With Novaskin you can create your own Minecraft Skin. 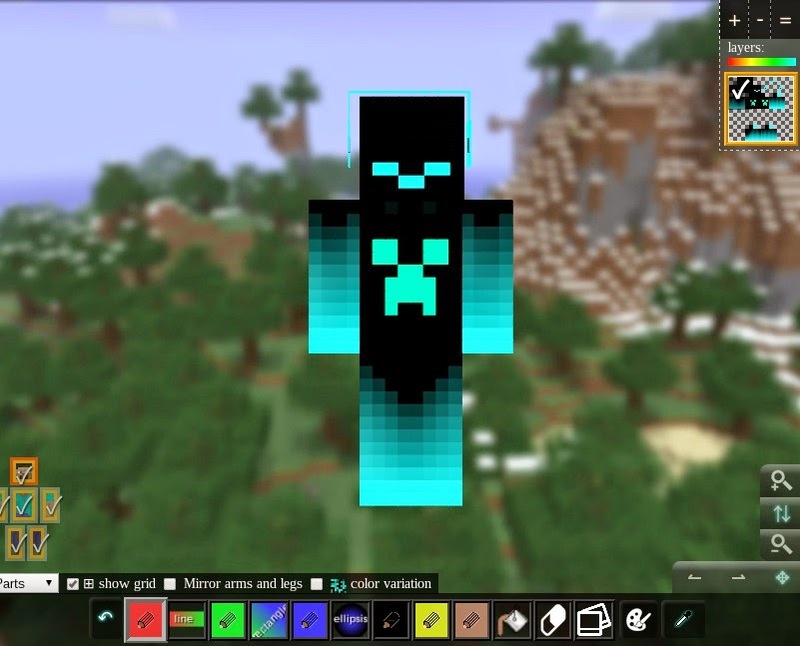 This is a cool Creeper Skin; he is all ready to make some mayhem. You can keep him like he is or customize the colors anyway you want. Create your own cool minecraft creeper skin on minecraft.novaskin.me. Planet Minecraft has cool skins. Many of them have moving eyes and facial features. We think this Batman is pretty cool! 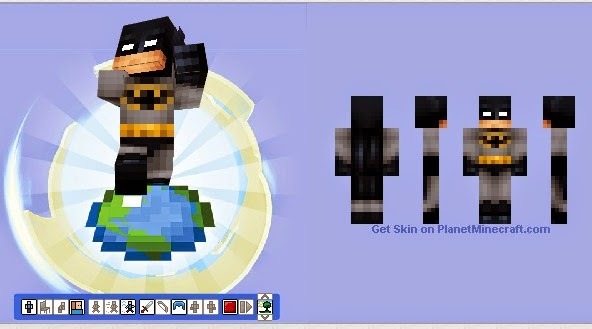 Batman Minecraft Skin from Planet Minecraft. Watch Minecraft Skin Videos here. Go to your Minecraft game and then click "add a server". Once there, you will enter this ip address in the "add ip address": 192.168.1.65. We are just starting out, so there isn't much there yet. Please be kind, respectful, and appropriate. We like to focus on creation and design. If you ask personal questions, use bad language, or call people name's you will be immediately removed. This server is best for children 6-16 yrs. What is a personal question? How old are you? Where do you go to school? What is your last name? Where do you live? Kicking and Fighting with others for no reason. Personal Questions, Foul Language, Name Calling, Asking someone to keep a secret. Bullies, Creepers, and the like. Sorry, no second chances. We want a fun, safe place for younger children to play Minecraft.